Are You Looking For A No Doc Or Low Doc Home Loan? As No Doc loans have been phased out in Australia and most other countries around the world since the Global Financial Crisis, the only option left these days are Low Doc Loans. A low doc home loan, sometimes known simply as low doc, is a mortgage or a home loan where the documentation for the verification of your income will not be required. However, all of the other documentation will be. Who are they Best Suited to? These are loans ideally suited for independent contractors, self-employed, credit rating impai red, investors, people who have had bankruptcy, a client that may have arrears on their current mortgage, or a borrower that has been rejected by the traditional lenders. This will include some people who have suitable incomes, but will take valuable time and money to meet bank verification. Low doc home loans are usually a bit more expensive than the traditional loans, simply from the higher risk profile. What can You Use these Loans for? These loans are usually for people who are hoping to buy investment properties, residential locations, or are looking to refinance an existing property and they do not have current taxation returns or PAYG documents that will confirm their income, which usually is needed to sustain a regular investment loan. These are loans for borrowers that may not want to state their income. There will be no debt to income ratio that the lender will have to take into consideration. With decent credit and good assets that a no ratio borrower has, it will make up for the lender not taking the borrower’s income information into consideration. If it is going to be a logistical nightmare for you to gather all of your income documentation, this kind of loan offer may be quick and easy for you. In order to get credit, a no doc loan will require a minimal amount of documentation. Lenders will evaluate your request for a loan using the base amount of financial information, and ultimate privacy is assured. It goes without saying that since the global financial crisis, there are not a lot of lenders that will still offer this kind of loan. If you have income that fluctuates from week to week or month to month, the low doc loan or standard income loan will be the most attractive for you. However, unlike a no doc loan, low doc loan requirements will call for the borrower to disclose earnings, usually for about two years, and they may also have to show their bank statements and tax returns. When you feel as though a low doc or no doc loan will fit your situation, you can speak with a mortgage expert. 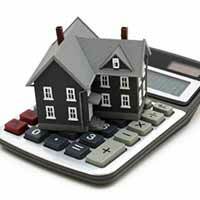 It could be beneficial for you to pay a steeper interest rate for such a loan. The right broker will be able to show you exactly how you can gather all the necessary documentation.